Restrictive Covenants – what do they really mean? The sense of achievement you experience when you secure your new job is immense. And rightly so. You look forward to a positive and productive future with your new employer. This is quite possibly the least opportune time to think ahead to what may happen when you leave. However, protecting yourself for that eventuality is good practice and, some employment advisers would say, essential. 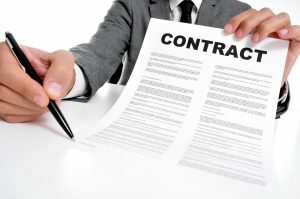 Restrictive covenants are clauses in your employment contract restricting your activities post-employment for a specified period, in order to protect your employer’s business interests. While your employer’s desire to protect themselves is understandable, you are entitled to do the same. It is vital that you understand the range and claim restrictive covenants have over your ability to function professionally post-employment. While this may not feel like the best time to question your employer, this is probably the last opportunity you’ll have to negotiate your rights. Make sure you understand exactly what is being said in your contract regarding your rights post-termination. For example, how long are you precluded from working for competitors? Do restrictive covenants extend to your social media accounts and connections? You are the best judge as to how you operate professionally. Think about the contacts you brought with you to this role. You don’t want to find yourself in a situation where you are prevented from working in your chosen industry. What are the main areas covered by restrictive covenants? Your employer will be keen to protect themselves across three key areas: competitors, clients and employees. You can be prohibited from competing with or working for a known competitor within a fixed radius of your employer’s location or across certain territories, for a fixed period of time. You can also be prohibited from luring employees away from your employer and working for existing clients for a fixed period. Often restrictive covenants are not upheld because they are too vague, too lengthy and the employee in question is not senior enough to pose a credible threat to the business. The key to restrictive covenants being upheld is that they are specific and realistic. The courts will uphold what they believe as reasonable. It’s important that you understand how much leeway your employer has in restricting you. Check your contract for the wording regarding the calculation of your bonus figure. In some cases, a percentage of your bonus rewards your performance but the majority is to reward your loyalty. There may also be terms advising that payment of your bonus is discretionary and potentially deferred to encourage you not to leave. Payments may also extend to commission, shares and any agreed long-term incentives. Pay particular attention to how these restrictive covenants affect your loyalty obligations and the timing of your departure. Sometimes as part of your progression and promotion, you will be asked to agree to additional restrictive covenants commensurate with your increased seniority. It’s vital that you employ the same forward thinking with any such amendments. We strongly advise you to seek independent legal advice prior to entering into any legal agreement. https://www.athena-executive.com/wp-content/uploads/2017/03/Athena-logo.jpg 0 0 admin https://www.athena-executive.com/wp-content/uploads/2017/03/Athena-logo.jpg admin2018-08-30 17:39:012018-10-02 08:21:39Restrictive Covenants - what do they really mean?